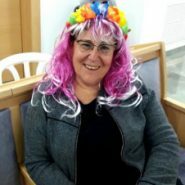 In honor of Purim, Miriam Peretz, a widow and mother of 2 fallen IDF soldiers, explains how to achieve true happiness. “Toda Al haRega” thank you for this moment. I want to try and use this as a frequent tefilla. Thank you for sharing this, what a special lady.